With such an extensive set of performers under his headship, each with their own individual approach and characteristics, Solborg had set himself quite a challenge, but the five improvisations here are a testament of the viability of his vision and of the musicianship involved. Perhaps one of the most remarkable facts about this record is that, despite the number of contributors, the music feels extremely fluid and light, and this from one end of the record to the other. Solborg himself is at times very discreet and lets the remaining members of his regular quartet lead the way for his guests to follow. Skovbakke and Heebøll do a pretty good job at keeping the rhythm section light and airy, whilst Banke finds himself facing a strong horn section. There is no question of competing for a place in the limelight however here, the focus is entirely on working together and taking advantage of everybody’s individual strengths. The album is divided into five improvisations which give the full ensemble ample opportunity to explore the multitude of interactions afforded by such a set up. They follow a pretty steady template throughout the whole record, starting from gentle motifs which progressively gain momentum as more instruments and layers are added. How this happens however differs greatly from one piece to the next. In the opening sequence of Mrs Pedersen Takes The Tram, Heebøl weaves a delicate web of light percussions over which Banke and Solborg wander for a while, but more contrasted and vivid sax lines signal the beginning of the ascent towards more abstract terrains. 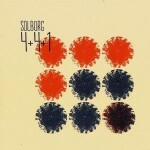 The rhythmic palette intensifies, the horns become more prominent while Solborg all but disappears in the background. For the next few minutes, the tide of instruments freely ebbs and flows around a recurring central theme until the drums pull out rather suddenly, leaving saxes, clarinet and trumpet to resist oblivion for a little while longer. The opening of 2620 is remarkably ethereal and fragile. Gunnar Halle takes the lead, casting a wonderfully open motif over graceful clarinet drones. Things pick up as the drums come in and more instruments find their place, but, just before the halfway mark, Solborg brings in a chiming guitar section which almost silences the rest of the group for moment, and remains a strong feature pretty much until the end. Almost and The Whispers continues to build on the atmospheric legacy of 2620, each piece resisting the temptation to gather too much momentum; Solborg however is once again somewhat elusive here. This is not such an easy thing to achieve with such a extensive formation, and for a while, the tone on Almost remains impeccably understated. In the last third of the piece though, energy is slowly released through a more concerted communal effort. As its title indicates, The Whispers manages to stay on controlled grounds for even longer and eventually blows out without even the slightest of sonic eruptions. It would be easy to expect a similar set up for closing piece Open Parenthesis (With Bob) from its humble beginning, and even more so from the wonderful sax solo which follows shortly after, but almost without notice, the mood switches drastically towards much more abstract melodies as more instruments join in. Things progressively return to a more structured around the half way mark and remain as such until instruments are as if peeled off one by one until the only one remaining is Solborg’s muted guitar, which gets to cast the final note on this experiment. 4+4+1 undeniably is an experiment of sort, and one conducted with brio by Mark Solborg whose role as leader appears almost inversely proportional to his physical presence on the record. Indeed, whilst he features regularly throughout, he rarely takes prime place, leaving his contributors to do the honours. Although the sheer size and level of musicianship of the formation could appear intimidating, the music they have created is surprisingly light and melodic, even at its most complex and conceptual, making this at once a truly challenging and thoroughly enjoyable record.